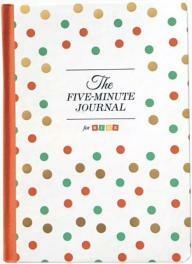 With 'The Five Minute Journal for Kids' your child will be presented to the same positive psychology that has made the original 5 Minute Journal so popular worldwide. 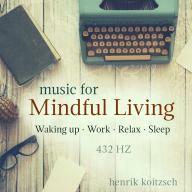 Music for Mindful Living gives you mindfulness music for the entire day, from you get up in the morning till you go to bed. 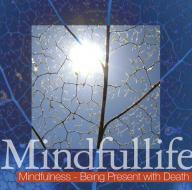 The perfect album for those who wants a more mindful day or wish to supplement a life of mindfulness. The Tranquille: Music for Meditation and Mindfulness album consists of three tracks, each approx. 15 minutes long. Each track can be heard separately or in conjunction with each other. You decide. 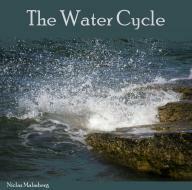 The Water Cycle illustrates the different phases of water, from rain to the sea and back into the clouds. The music is soft, perfect for background listening, but its richness still makes it enjoyable at concentrated listening. Gentle meditations with speech and music, that support presence and acceptance. Prepare yourself physically and mentally for birth with this lovely yoga DVD for pregnant women made by Trine Hedegaard from Yogini Yoga. 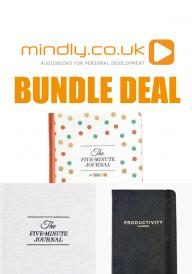 Great bundle deal with both The Five Minute Journal, The Productivity Planner AND The Five Minute Journal for Kids for a reduced price. Free shipping in Europe! Give your baby the best possible start on life and learn how you can strengthen your child's motoric, senses and development with these simple exercises specially developed by occupational therapists and tailored to children ages 0-1. Subscribe to our newsletter to get news and great offers directly in your inbox.